What exactly is Spreadex? The name suggests that the website offers spread betting. Spreadex is like a breath of fresh air among the many competitors, who offer only fixed odds. Spread betting is not very popular, as not many people like the whole idea. Spreadex has thought about that, too. 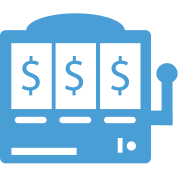 If you are into this type of betting, you will find all the tools you need to win big. If you are into fixed odds – the website has that too. The online bookmaker called Spreadex is founded in far 1999 by Jonathan Hufford, who is a former City dealer. Jonathan had ideas and the desire to make spread betting more accessible, so he created the company by himself. Seeing that the business was successful, the company created the online sports spread betting service in 2006. 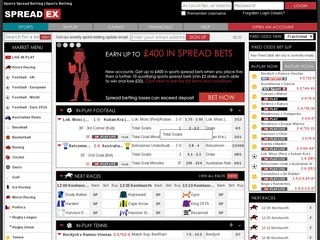 Four years later, in May 2010, Spreadex added fixed odds to their spread betting sportsbook. Then, in December 2010, the bookie releases their mobile sports betting platform. Android and iPhone users are happy to be able to bet from their smaller devices. June 2011 was the date when Spreadex got the whole client database of an IG Group website, Extrabet. The move doubled the size of the user base and the bookie now held about 35% of the spread betting market share. Impressive! What is more interesting, though, is that Spreadex also offers financial trading on the bookie website. This online bookmaker is licensed by the United Kingdom, which is a huge trust factor by itself. Not many bookies manage to grab regulation from the UK, and those who do are always trustworthy. The website is white, with a dark gray background, easy on the eyes. The menus might look a bit crowded in the beginning but believe me, everything is where it should be. The betting options, offered by Spreadex bookmaker are many. The market menu holds about fifteen different sports, with horse racing, baseball and golf being a part of the whole. Football gets a worldwide coverage on this website, which is good since it’s probably the most popular sport overall. The in-play section offers a stable and clean live betting experience for the fans of quick thinking. Spreadex doesn’t provide live streaming of the matches, but they are kind enough to point out to the channel where you can enjoy the game. The casino section of the Spreadex website offers a variety of games to play. The menu on the left contains table games, card games, video poker, slots, live dealer and other games. Blackjack, Texas Hold’em and European Roulette are among the user favorites. 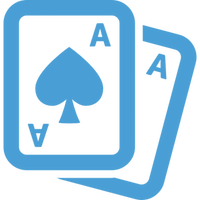 Live poker is not available as of the date of writing this review, but I wouldn’t be surprised if they manage to enrich their platform soon. The spread betting options on this online betting website are constantly changing – and that’s a part of the charm. But the fixed odds offer a ton of possibilities to place your bets. An interesting option in football betting is to put your money on under an amount of goals. For example, fewer than 6.5 goals have a ratio of 1/300 and under 5.5 goals a ratio of 1/50. This is particularly useful for people with large bank accounts since the payouts are miniscule, but the chances are very high. Other markets worth betting on are the double chance, handicaps and to win from behind. Spreadex might advertise itself as a spread betting website, but their fixed odds are lovely. The Spreadex website is secured with a layer of SSL encryption, provided by DigiCert. This is a must since the company also deals with finance trading. The website is only viewable in the English language. The customer service is terrific and can be reached by telephone or e-mail. Sadly, the site does not offer a live chat function, but the lower right corner hosts a small button where you can quickly send your feedback. A company that is open to players’ suggestions always has the upper hand in the betting market. After all, Spreadex is aimed at customer satisfaction. The staff is well prepared to answer various requests and questions. They will also appreciate any kind of feedback, so feel free to share your thoughts with the polite support team. Spreadex accepts only the most popular currencies and you can see them in the table. The Deposit options are quite colorful. Withdrawing money can be done almost through the same channels. 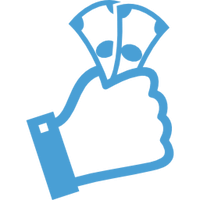 Overall, the customer feedback about payouts is excellent, and you shouldn’t worry about not receiving your money. Yes, sometimes the transactions might take some time, but players always get their winnings back. Spreadex offers a nifty sign-up bonus to all new players. You get double your initial deposit, capped at 100 GBP. The requirements are that you must place five fixed odds sports bets to qualify. The rollover is 1xB, so not too shabby! The bookie also offers a nice referral bonus – for every friend you refer to the website, you get 50 GBP in your accounts. You can receive the bonus after your friend has placed five qualifying bets. So get your betting friends to Spreadex and reap the rewards! Reload bonuses are not available as of now.